​from being mindful of others’ needs. 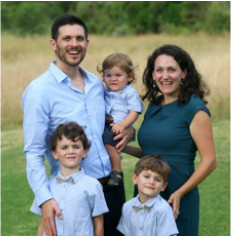 Bio: Born in Tokyo, Japan and raised in Germany and Kirtland, Ohio, Heather (Smith) Brown took the opportunity to meet and marry her husband while attending BYU Provo. 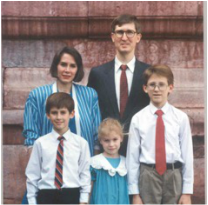 Four children and 29 years later, Ty & Heather left their now grown children in the North Salt Lake City family nest when work brought them to Mumbai, India. Here Heather quickly realized her passion for service could be put to good use and became involved in a number of inspiring projects. 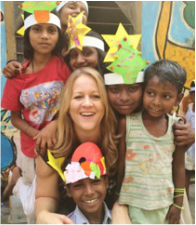 She is now Head of Charities for a local expat organization and spends her time encouraging and helping others to find joy in giving. As mothers, our connection to our children is unlike any other on earth. ​Knowing that, we can confidently channel our spiritual resources in their direction. 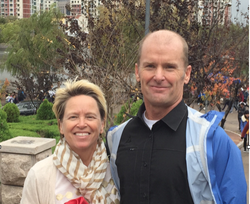 Bio: Teri Zenger currently lives in Qingdao, China where she is a teacher with the BYU China Teachers Program at Qingdao University. She has 300 amazing freshmen students who are making her experience there life changing. Married to Eric Zenger for 37 years, she is a grateful mother to 4 children and the delighted grandmother to 4 grandchildren. The journey has been a combination of calm seas and crazy whirlwinds - and she's glad she has hung in for the ride! 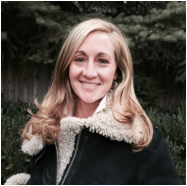 When not homemaking and mothering Teri enjoys skiing, biking, hiking and the occasional game of tennis or ping pong. She is an avid reader and never has a hard time justifying the purchase of "just one more" book. She has been blessed from the beginning with an unwavering knowledge of Jesus Christ and relies on that daily. Teri counts her relationship with Him as one of her greatest blessings and looks forward to sharing her testimony of Him with you in Hong Kong. As we face the many challenges that life has to offer, some good, some bad, some hilarious, some seemingly unbearable, we can find within ourselves what it takes to do the hard things. Sometimes we don’t realize the great “stuff” we are made of. Each of us can know for ourselves, "I Can Do Hard Things", and do them cheerfully. Bio: As a child growing up in Indiana, Cindy Sue had two ambitions, to be a mom, and to be either a Veterinarian or a Nurse. She has succeeded in the first ambition and is a professional having practiced for over 38 yrs., and also worked as a veterinary assistant for many years. Cindy joined the Church of Jesus Christ of Latter-day Saints when she was 17 and two years later met Darryl, the love of her life. They married that same year in the Washington D.C. Temple and this July will celebrate their 40th wedding anniversary. For the last 18 yrs. they have been blessed to travel extensively for work living all over the USA and the world including Mexico, Puerto Rico, Morocco, Ordos, Inner Mongolia, China and for the last couple of months in Santiago, Chile, South America. They are the proud parents of 6 beautiful daughters, one handsome son and have 22 grandchildren. No one ever came home from a trip saying, “I am going to pack heavier next time”. Travel easy by traveling light. Make your travel dreams come true without spending a fortune. Immerse yourself in the culture and make lasting, heartwarming memories of the lands you visit and the people you meet. #2 - Eat - Play -Live! “Life is not a journey to the grave with the intention of arriving safely in a pretty and well preserved body. But rather to skid in broadside, thoroughly used up, totally worn out and loudly proclaiming……WOW! What a ride!” Join Gloria Johnson, a “cockeyed optimist” will help you take a look at where you’ve been and what’s next. 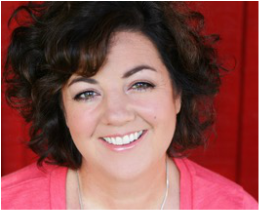 Bio: Gloria Johnson has a BA from Brigham Young University in communications and theatre and did graduate studies in theatre at the University of London. For over 30 years Gloria has been a popular keynote and breakout speaker at BYU Education Weeks, conferences and conventions; a travel and theatre writer; emcee; television and radio show host; and for 14 years directed a travel club taking travelers throughout Europe and Africa, as well as in the US, Canada, Mexico, Costa Rica, Peru, New Zealand, and China. She has personally visited over 80 countries. She and Roland are parents of four children and have ten grandchildren. They recently spent 18 months in the Democratic Republic of Congo as humanitarian missionaries. 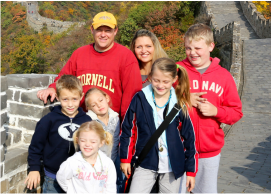 They currently reside in Beijing, China teaching at the China Foreign Affairs University through BYU Kennedy Center. "Tell me what you eat and I'll tell you who you are"
Bio: Staci Ford (aka Hosford) has lived in Hong Kong since 1993 with her husband Matthew. They are the parents of two sons, two grandsons, and a granddaughter is on the way! 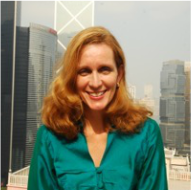 She teaches in the Department of History and the American Studies Program at the University of Hong Kong. Her calling as a District Relief Society President in Hong Kong has given her the opportunity to learn a great deal from many people. She is, at this year's A.S.I.A. Conference, thinking out loud about the connections between her work in the Relief Society and her work as a cultural historian. Food as symbol and service, marks LDS women's lives and offers a lively way to think about cross-cultural encounters at church in a time of increasing global connection. The potential within us to do good, to succor the weak, is limitless. To tap into and maximize that potential requires obeying more fully the commandment to, "love thy neighbor As Thyself." Learn what you can do daily to see yourself through God's eyes, demonstrate self compassion, and become a better you, that your service to others can be more effective. Bio: Roxanna grew up in the southwest regions of the United States; Arizona and New Mexico. Roxanna’s husband’s Air Force career has taken them to live in various states in the U.S., Japan, and South Korea where they currently reside. 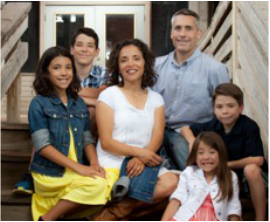 Roxanna is a wife of 15 years, mother of 5, and Speech-Language Pathologist. 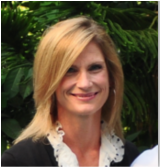 She has been homeschooling 4 children for ten years and is currently serving in her district primary presidency. She enjoys running, Crossfit, reading, hiking, teaching, organizing, traveling and self development. ​ Roxanna attended the ASIA Women's Conference last year for the first time and loved it! She is thrilled to be presenting this year. The famous marshmallow test of the 1960s is a study in willpower and delayed gratification. But what to do when the second marshmallow isn't delivered as promised? How do you continue when the marriage you have is 'till-death-do-us-part' instead of 'forever'? Explore some of the hard-earned secrets to enduring with grace and even joy. Bio: Even as she said, 'I do', Teena was expecting that temple marriage she had always strived for; but some things just don't happen the way you plan. Teena is happily married to her husband of 20+ years and mother to two teenagers. She has learned that it isn't easy being the one to direct the family's spirituality and always love the man you chose, but it is possible. Teena works full-time in the marketing world and currently serves as the Singapore Country Editor for the Church of Jesus Christ of Latter-day Saints as well as seminary teacher to a class of one - her daughter. 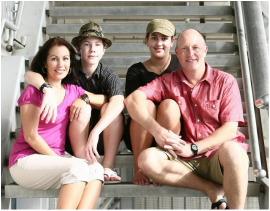 Teena and her family hail from New Zealand. They have been blessed to live in some of the most beautiful places in the world, the latest being Singapore for the last five years. One day, Teena hopes to write the book that so many of us have inside of us, but for now, she enjoys stealing nana naps whenever she can. and serve others as He would. Bio: Chloe Andersen has spent the last five years with Citigroup in New York, Tokyo, and now Hong Kong. A seasoned Human Resources professional, Chloe has expertise in talent management, leadership development, executive coaching, and employee relations. Prior to business school, Chloe spent five years with Dolce & Companies as the Director of Esthetics Education and Training. Chloe holds a Master of Business Administration with an emphasis in Organizational Behavior from the Marriott School of Management at Brigham Young University where she was a Hawes Scholar and the Vice President of Student Life. She holds a Bachelor of Science in Geography also from BYU. Chloe has served in various church callings throughout her life, as well as a full-time mission. 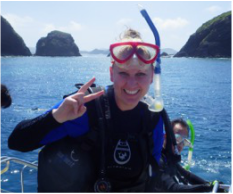 Chloe is an award winning baker, an avid scuba diver, a favorite auntie, and a multiple marathon finisher. She is currently 43% of the way to her goal of running a marathon on every continent. Chloe resides in Hong Kong. How Does the Atonement Work for Me? All experiences are meant for our learning - even the bad ones. But sometimes negative emotions from these experiences hold us back from progressing in life. Learn some basic tools to help you forgive, release negativity and allow the Atonement of Christ to work for you personally. Bio: Becky Budge is a true 'third culture kid' - She grew up in Tokyo, so when the time came to serve a mission she assumed the only question was which part of Japan she would be called to. To her surprise, she found herself biking around Bangkok Thailand instead! Eighteen wonderful months later she returned to BYU where she graduated with a degree in Music. After graduating Becky played the piano in Beijing while teaching English on the side. She also managed to return to Thailand for a time, where she worked at the JW Marriott in Phuket. It wasn't until she married her long time friend from her days at Primary in Tokyo, that they returned to Japan in 2009. Last year the Budges finished student life at the Wharton School of the University of Pennsylvania and returned once again to Tokyo. There Becky gave birth to their fourth child in November, rounding out their family with two boys and two girls. Life as a mom is busy, but Becky does her best to find time to listen to and create music. She loves all things cooking and baking, especially decorating cookies and cakes! 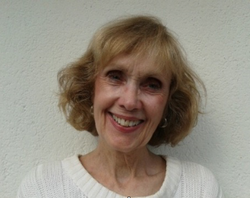 Becky is also certified in emotional release therapy and loves helping people learn about emotional and spiritual healing. When those close to us experience the death of a child, it can be difficult to know the best way to help. I surveyed sisters from around the world who have lost children, and their heartfelt and enlightening responses will guide a discussion that can help prepare us to keep our covenant to mourn with those who need it most. Bio: Erin Berryessa Dixon grew up in Utah, but always felt there was a great big world out there calling to her, much to her mother's dismay. 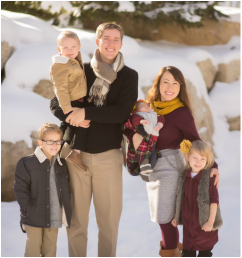 She studied Spanish and Social Work at Weber State University, then served in the Spain Las Palmas mission where she met her husband. She worked at Wasatch Mental Health while her husband attended BYU. Upon graduating he was offered a job with the government which has taken them to Key West, FL, Sterling, VA, Bangkok, Thailand, and currently Panama City, Panama. Erin loves the outdoors, camping, fishing, cooking, softball and sports, all of which she gets to do a lot of while raising four crazy boys. ​Finding the better angels of our nature happens by relying on the Holy Ghost and developing empathy as we fulfill the commandment to comfort those who stand in need of comfort, or succoring the sucky--it kind of depends on the day you are having. Bio: Cherilyn is the mother of 3 and mother-in-law of 1 who spends her time, when not (still) fretting over her children, working as an RN and running miles on a treadmill in the gym. She has learned to adapt and developed her sense of humor through growing up with 7 siblings; getting educated at BYU, Catholic University, and George Mason University; living in the US, New Zealand, India (twice), Mexico, the UAE, and Pakistan where she currently works with her husband of 28 years at the US Embassy in Islamabad. Her favorite callings in church have been teaching the sunbeams and early morning seminary, which, of course, sometimes felt like the same thing. It is easy for us to swim in unproductive self talk of guilt, judgment, pain, or hopelessness. When we practice self compassion, we can access greater empathy for ourselves, let go of judgment, validate and appreciate our weaknesses, and allow the Lord to comfort our sorrows. Self compassion creates a foundation of strength upon which we can better love, comfort, and succor others. Bio: Norah grew up in the US and claims Concord, MA as home. Her parents are from Zimbabwe, and she treasures the rich culture they created in her home. She attended college in Richmond, VA, served a mission in the Czech Republic, and went to graduate school in Washington, DC. She found her passion in teaching and worked with immigrant students in the public schools and through university programs teaching ESL. 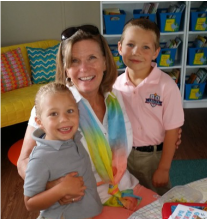 After later working in educational assessment, she decided to continue on a contract basis while throwing herself into mothering three adorable and incredibly active boys. Norah is happiest when singing and has always been part of wonderful choirs including The Philharmonic Chamber Choir of Singapore. She also teaches early childhood music classes. Norah is endlessly in love with her incredible husband and considers her partnership with him her greatest blessing. How we can find exceptional health and wellbeing by heeding the wisdom of God's direction. A plant based approach to fitting health into our busy lives. Bio: Emily Rytting wants to live in a world where language is no barrier to friendship, and where every child loves veggies. Two years ago her little family of four (soon to be five) hopped on a plane to Saudi Arabia to fulfill a dream of living abroad. They’ve enjoyed the challenges and travel but most importantly people that make any place unforgettable. Before accepting the career of homemaker Emily trained sister missionaries serving at church historical sites and Temple Square, completed her BA in Public Relations at BYU, and served a mission in Rochester NY. Emiy is in the process of receiving a certification in Plant Based Nutrition and Whole Foods from Cornell University and loves nothing more than seeing her children’s eyes light up when eating a treat full of spinach. Amidst the busy-ness and craziness of our day-to-day lives, it is sometimes hard to remember why we are doing what we are doing. The purpose of this life is to learn to love like God loves and every experience, every challenge, every unfairness can serve to propel us towards this ultimate goal: to develop a heart like His. In this session we will discuss 3 things you can do to bring balance and peace into your lives and begin living with a Heart Like His. Bio: Erika is loved for her quick wit, her sense of humor, and her ability to give excellent advice. She is a wonderful listener as well. She was born in Saratoga (Bay Area), California. A love of adventure and God led her to study in Israel, Spain, and then serve as a missionary in Venezuela. She graduated with a degree in English from BYU and continued on to earn a law degree from the J. Reuben Law School at BYU. ​Although she has not officially practiced law for many years, she still uses some of her training to convince her children that practicing the piano and going to swim team really is in their best interest. When she can make it happen, you will find her reading a book, enjoying a beautiful beach view, or traveling with friends. She is blessed to be on a continuous adventure with her husband and 5 children in Singapore. Self-confidence and self-esteem are tied deeply to our understanding of who we are. How we feel about ourselves influences the connection we have with others and how we approach opportunities to serve. In this session we will discuss ideas for strengthening our understanding of who we are and our divine capacity and how to use that understanding to find more joy in our service. 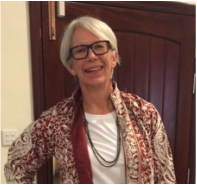 Bio: Amie Heap has been involved in humanitarian projects spanning the globe as the Senior Nutrition Advisor for the Bureau of Global Health for USAID (US Agency for International Development). Most recently focusing on integrating nutrition assessment, counselling and support within HIV/AIDS programs in over 14 African countries. This experience has been a profound education for her mind and heart. Amie has seen firsthand how the power of serving others can change the lives of both the giver and the receiver, and the miracles that occur as people reach out to lift and strengthen those around them. Amie currently lives in Washington, D.C. 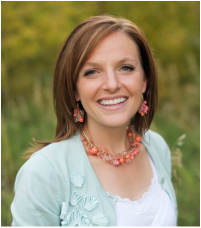 Prior to her move, Amie lived in Salt Lake City where she received her undergraduate degree in Clinical Nutrition from Brigham Young University and worked as the Clinical Nutrition Manager at Primary Children’s Medical Center. Amie enjoys every aspect of life on the East Coast, but loves to return home to her family and the mountains of Utah every chance she gets! Amie loves to run, bake, cook, read, and spend time with the youth. She currently serves as the Gospel Doctrine teacher in her ward. What blessings can come to you and your family from raising your children in a land -- far from your original home -- where the language and culture are “foreign” and the Church is in an early stage of development? How can you set examples of gospel living when talking about religion with local nationals is not allowed? Bio: ​Tim and Robin Stratford moved to Beijing with their children in 1982, shortly after Tim graduated from Harvard Law School. They had met at BYU, after Robin had served a mission in Taiwan and Tim in Hong Kong. They have lived in greater China ever since, except for a 4 ½ year period when Tim served in the U.S. government in Washington, D.C. as the senior U.S. government official responsible for trade relations with mainland China, Taiwan, Hong Kong, Macao, and Mongolia. ​The Stratford’s three children attended local Chinese schools (before ultimately graduating from the International School in Beijing), and Robin worked as a volunteer teacher at Beijing No. 55 Middle School so that their children could study English literature from a native English speaker. Tim has worked in international law firms and also served as senior commercial officer at the U.S. Embassy in Beijing, general counsel for General Motors in China, and chairman of the American Chamber of Commerce in China. For many years, church services in Beijing were held in their home, and they have had the opportunity to serve in numerous church callings and to witness the marvelous growth of the Church in China. From 1992-95, they served as president and “mission mother” over the Taiwan Taichung Mission. In a dusty blue frame is the quote “Bloom Where You Are Planted” with a cross stitched daisy and a girl in a bonnet. But what if you are planted in a garden that isn’t a “normal” successful garden? Actually, its a little bit out of control. This is the talk where I tell you about how you are doing better than you think you are. Bio: This is Robin’s 3rd year presenting at the conference. In the past she spoke about 'When You Want To Dropkick The People You Love' and 'What To Do When You Are Surrounded By Practically Perfect People'; sharing with her classes not only her wit but her wisdom in meaningful and memorable ways. Currently serving as a counselor in the Singapore Stake Relief Society, she has also founded a successful consulting business, directed an outdoor-education program for over 300 teenagers, and participates in the United States Air Force Cadet Sponsor Program. Robin holds a Bachelors degree in Communication and a Master’s Degree in Science.